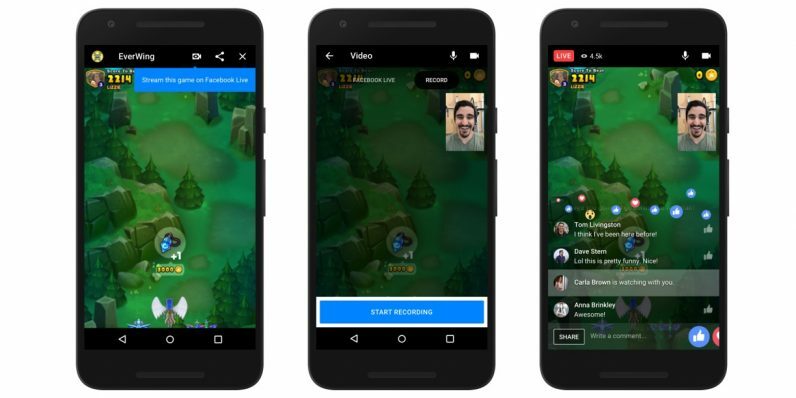 Facebook announced this week, in celebration of its first year of Messenger games, it’s adding new community features such as livestreaming and video chat. When Facebook announced Instant Games last year, it had 17 games in its repertoire, including Pac-Man, Galaga, and Space Invaders. Now it’s got over 70 games with several more to come next year, including the likes of Sonic, Angry Birds, and Disney Tsum Tsum. The biggest update to Messenger is the addition of a livestreaming option. To stream yourself playing your Messenger game, you tap the camera icon in the corner of the screen. The broadcast will be saved to your Page or profile after it is complete. I don’t know how much of an audience there is for livestreams of Tetris, but I’ve been surprised before. Another update is the ability to game while video chatting. The feature will initially be tested with the game Words with Friends. Naturally, you’ll still be able to use Facebook’s funny video filters, because what is social media for if not playing word games while you look like a cat? The livestreaming started rolling out this week, while the video chat feature will be introduced early next year.